<b>The Little Gypsy Girl</b> has always enjoyed enormous populatiry. Its success derives mainly from the charm of its protagonist, Peciosa. 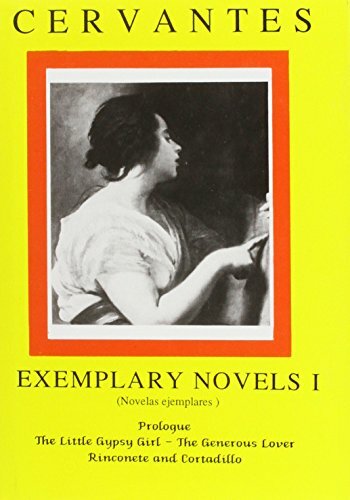 The novel is not only a romance tale in a touch gypsy atmosphere; it can also be seen as a study of feminine decision and independence in Preciosa, and of gradual maturing of the attitude of Juan/Andres towards her.<br /> <b>The Generous Lover</b> is a complex story which draws on Cervantes's experiences in captivity. Ricardo, a Sicilian nobleman, falls in love with the very beautiful Leonisa. However, she loves Cornelio, a handsome youth who is narcissistic and, in most ways very unimpressive as a male character. One day Richardo chances upon Leonisa and Cornelio reclinging in a Sicilian garden. In a fit of passion, he assults Cornelio which is interrupted by two Turkish vessels which carry Leonisa and Ricardo into captivity. As the plot progresses, Richardo will demonstrate just how generous a lover can be.<br /> <b>Rinconete and Cortadillo</b> is the story of two young lads who become freinds in a Castilian inn on the road to Andalusia. They decide to travel together to Seville where they join a syndicate of malefactors led by a man Monipodio. Their associates in crime are colourful characters, each having specialised in a different criminal act. Eventually the boys decide to leave Monipodio's corrupt little band, but not before they have experienced life inside one of Seville's fascinating criminal communities. Spanish text with facing-page translation, introduction and notes.